Opening later this year in San Diego's coastal neighborhood of Pacific Beach is Powerhaus Pizza, a fast-casual eatery centered around a healthy menu of signature pizzas, kombucha, and superfood salads & smoothies. 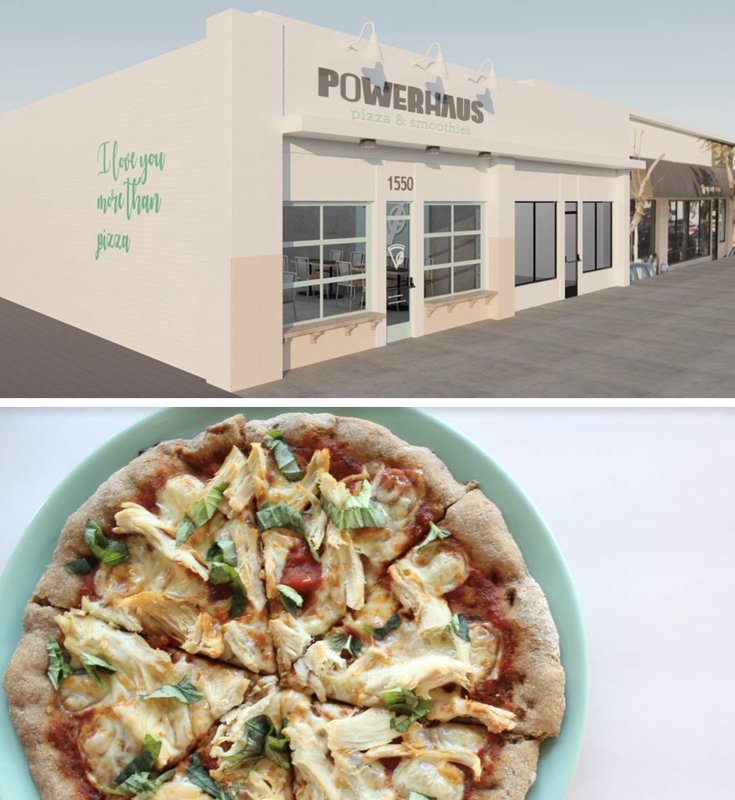 From Anisha Blodgett, a former NYC-based real estate analyst turned Cali-entrepreneur, Powerhaus Pizza is currently being constructed in the nearly 1,200 square-foot space that last housed a Papa John's nextdoor to Corepower Yoga in Pacific Beach. After a complete gut remodel, the eatery will offer roll-up garage door windows and a California beach vibe with 20 seats. "My passion for fitness and pursuing my health goals without eliminating my favorite foods lead me to experimenting in the kitchen," explained Anisha. "I want eating well to be more than a green salad and green juice that is x-, y- and z-free. For me, eating well is about enjoying food. I take a creative and unique approach to enhance pizza to its highest potential and turn it into a nutritionally balanced and nourishing meal." Powerhaus will serve a simple menu centered around eight signature pizzas with an option to build your own. The eatery will increase the nutritional benefit of its pizza crust by including plant-based protein and a large dose of omega-3 rich healthy fats into the dough. Equally as important is topping the pizzas with lots of veggies, all-natural meats, grass-fed dairy and other organic ingredients. Powerhaus will also serve a more traditional crust that's gluten-free, as well as a cauliflower crust and nut-based vegan cheese options. There will also be a concise menu of salads, a kombucha bar, and superfood and vegetable based smoothies from Powerhaus’ in-house holistic nutritionist Kiki Athanassoulias of Mindfully Exponential. Powerhaus will be located at 1550 Garnet Avenue in Pacific Beach and hopes to open by year's end. For more information, visit powerhauspizza.com.